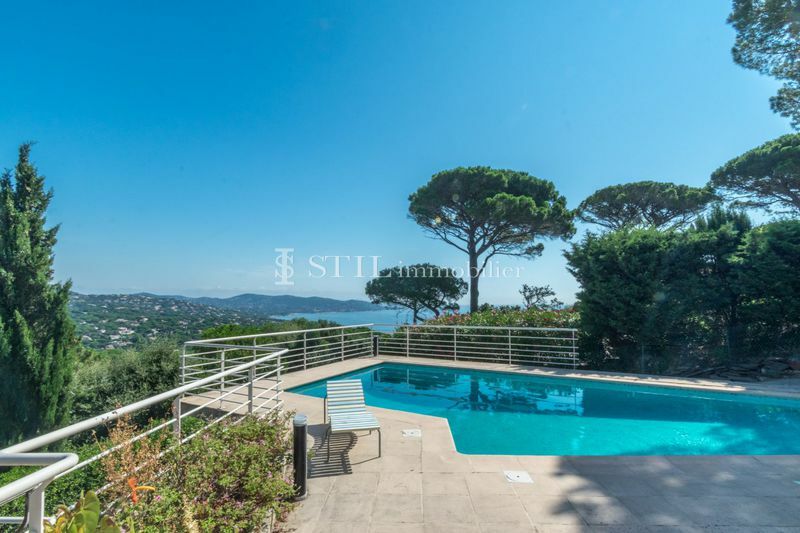 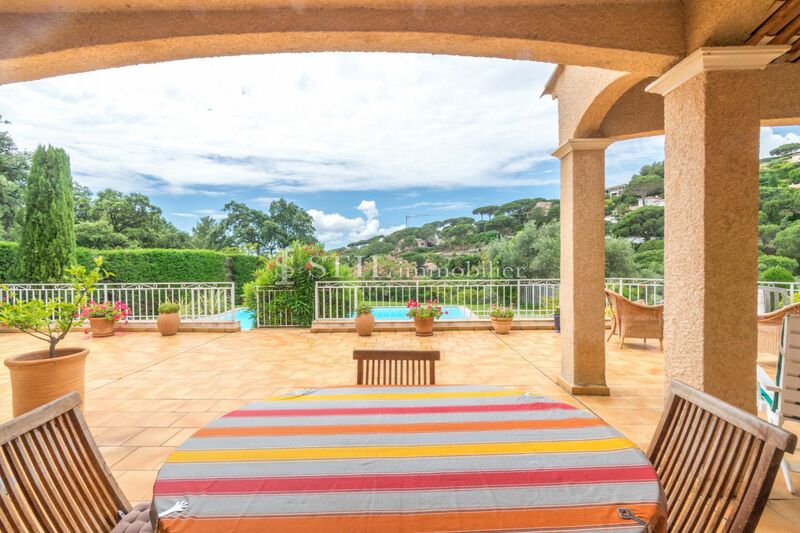 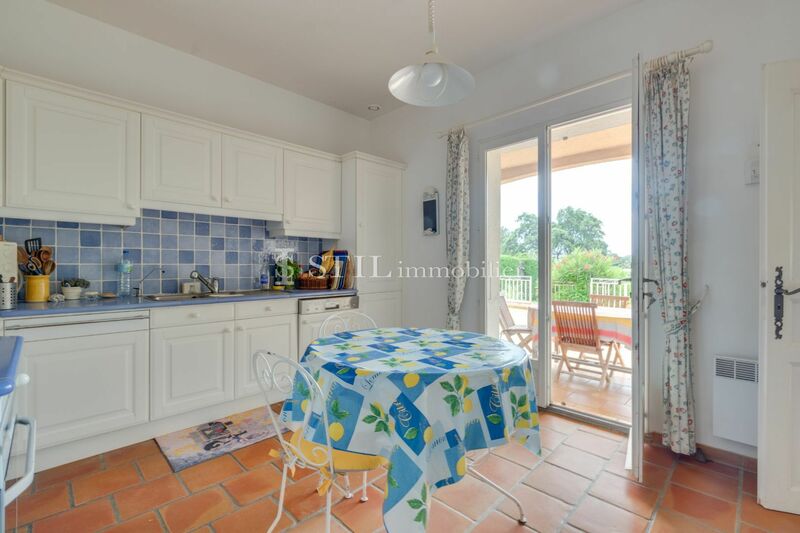 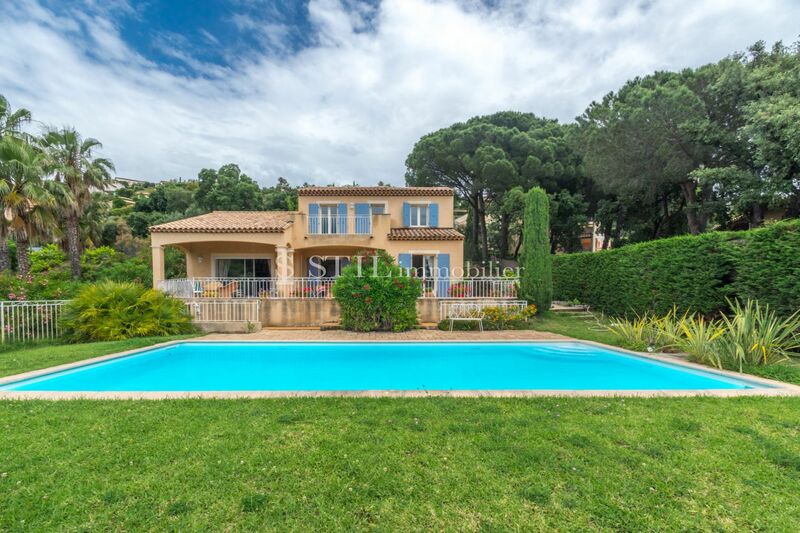 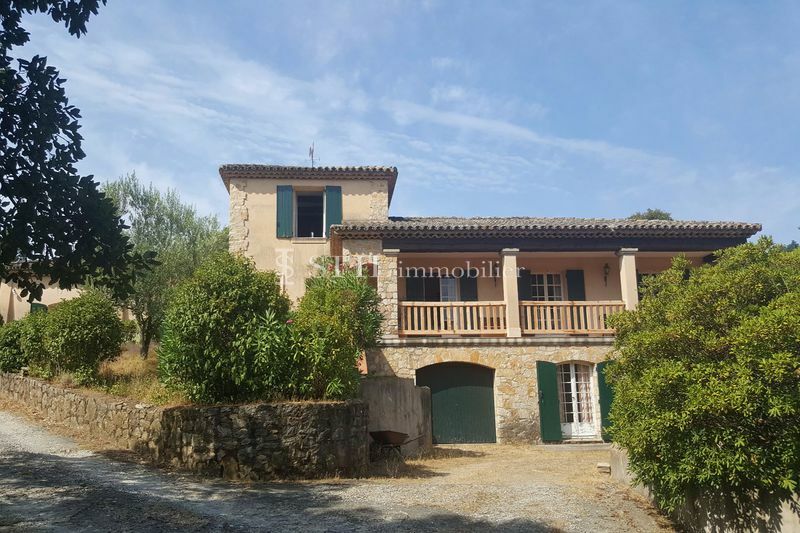 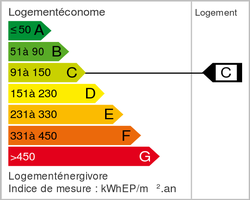 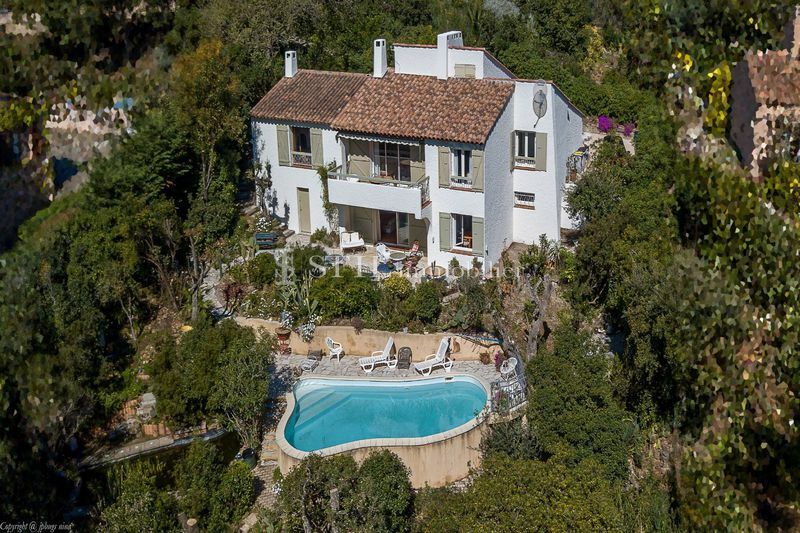 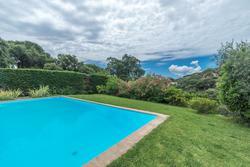 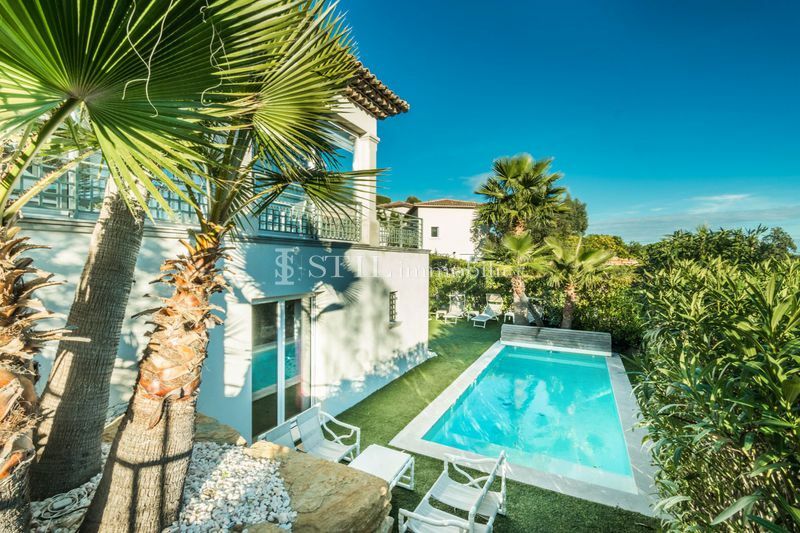 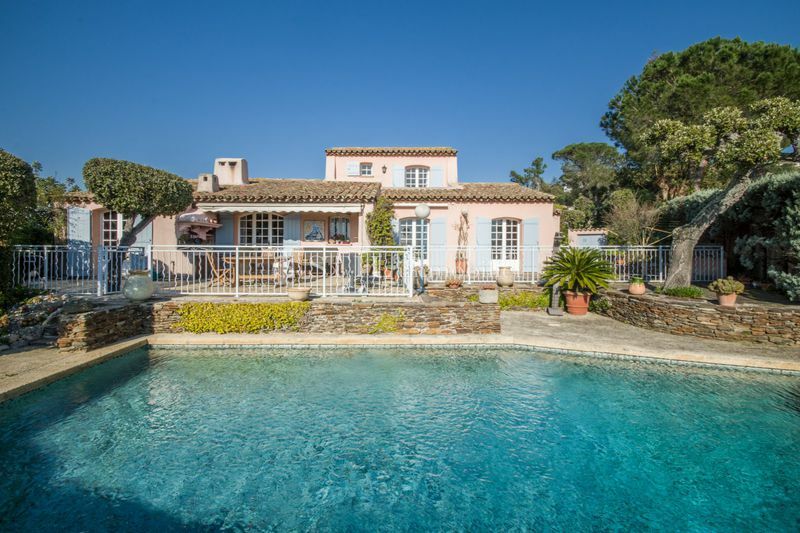 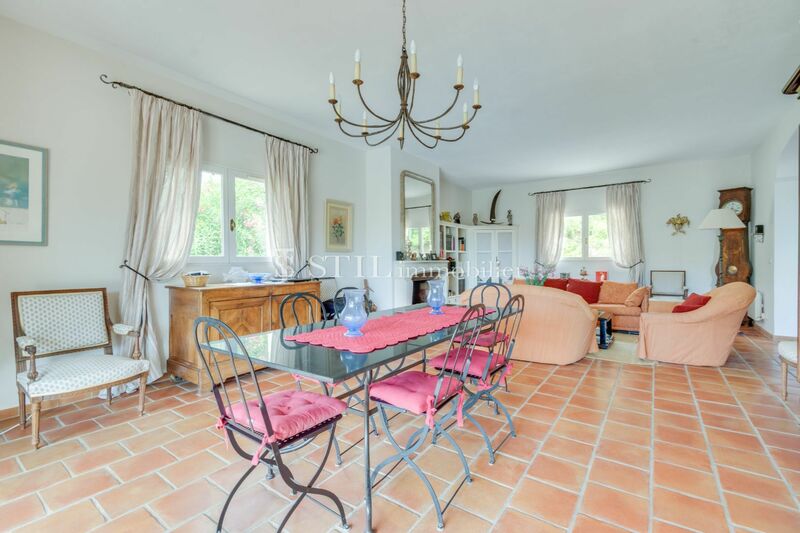 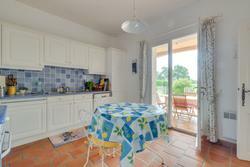 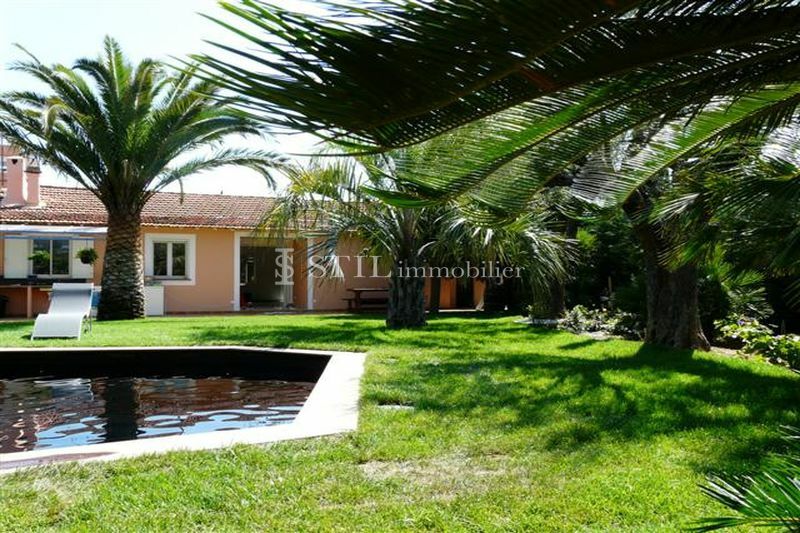 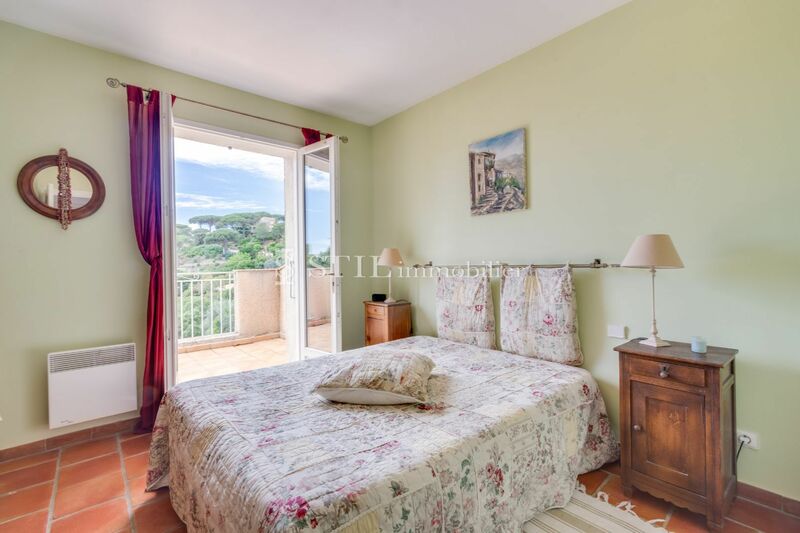 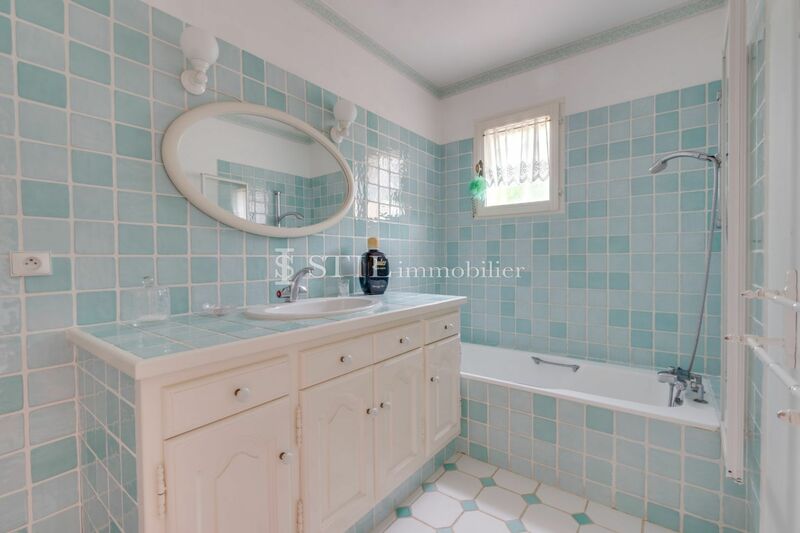 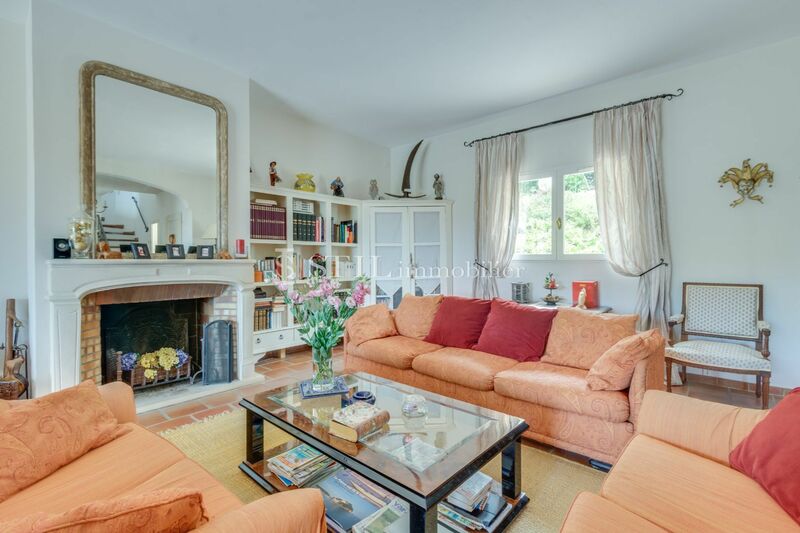 sale villa sainte-maxime. 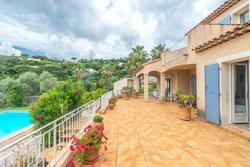 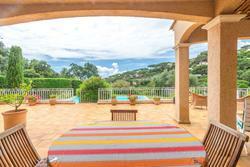 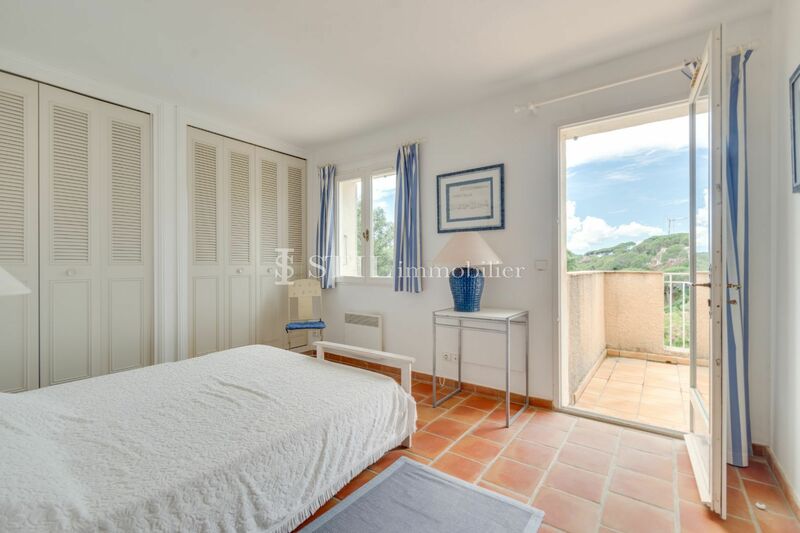 beautiful views of the hills for this charming villa near the beaches of the nartelle. 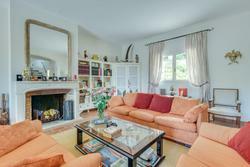 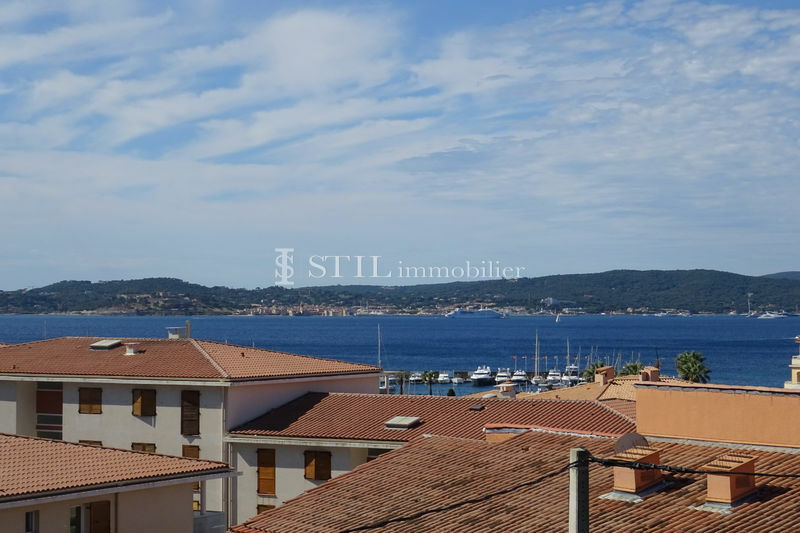 approx 150 m² living space, it offers: entrance, large living room fireplace opening onto terrace, kitchen independent, 2 bedrooms on the ground floor with bathroom. on the floor: 2 rooms opening on solarium. 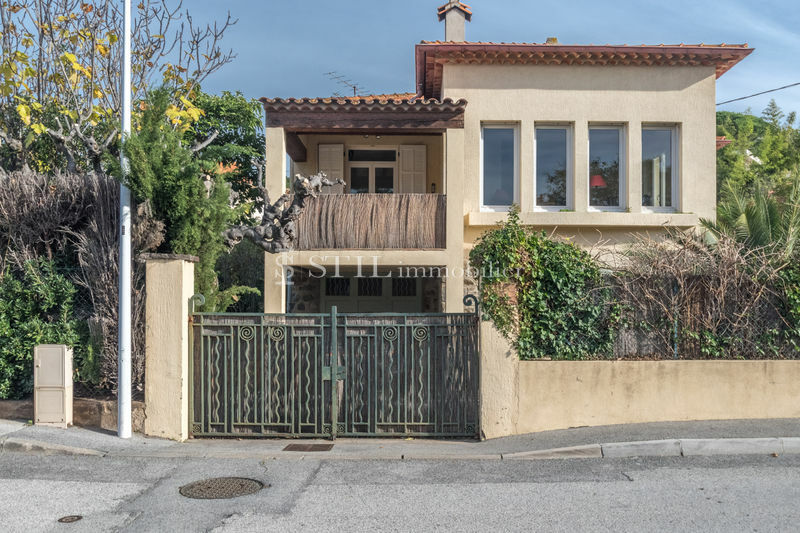 sub total with double garages. 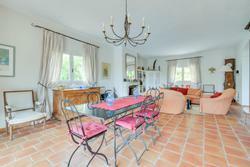 cellar. 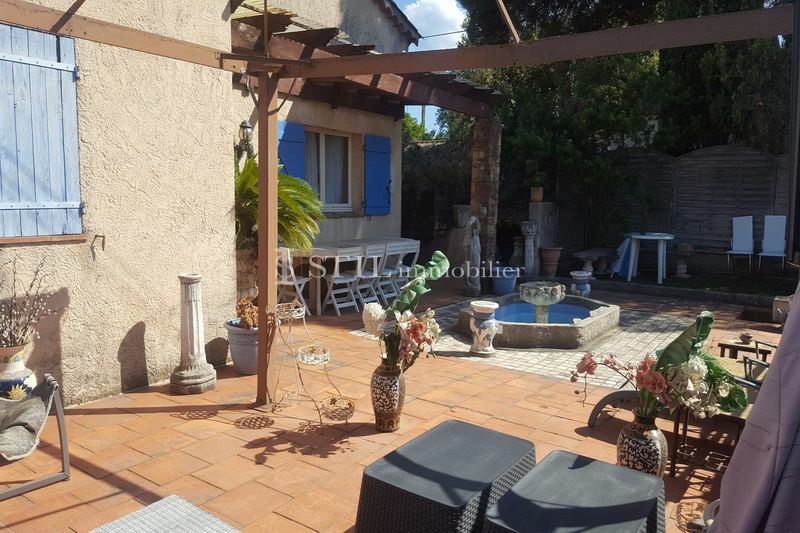 a pisicne decorates the nicely planted garden.